Rich colors! 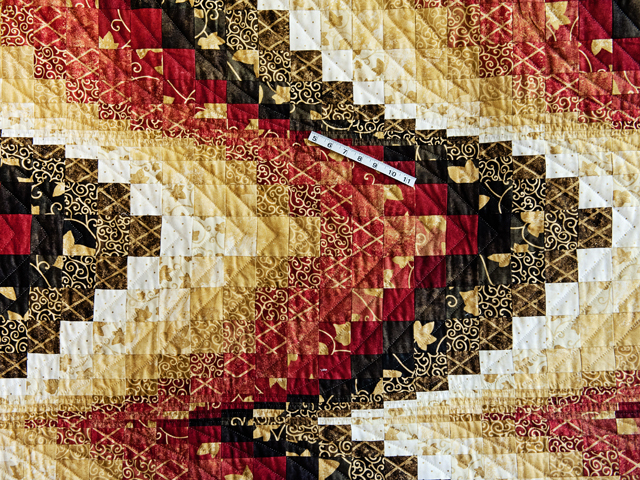 Just look at those beautiful fabrics! 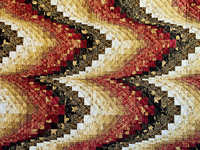 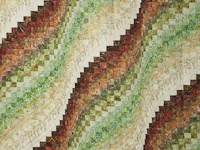 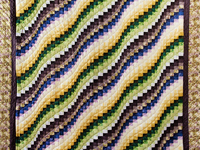 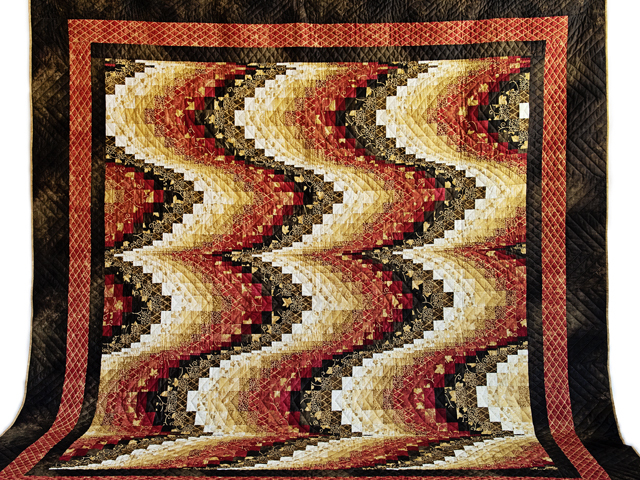 A great variation of the popular Bargello pattern. 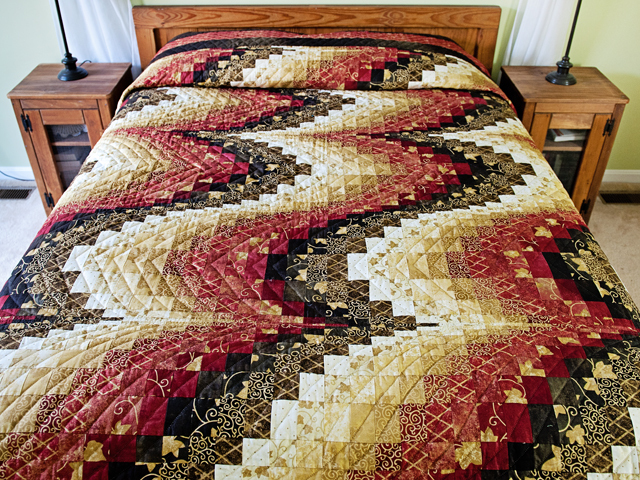 This quilt is sure to look fantastic in your bedroom! 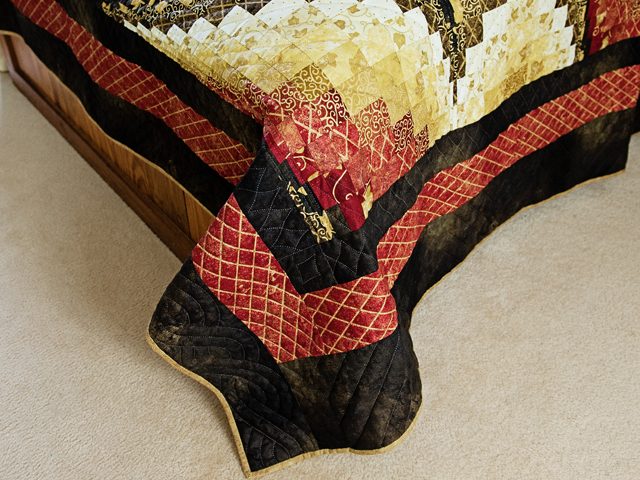 Very well made by an Amish woman in her Lancaster County, Pennsylvania home. 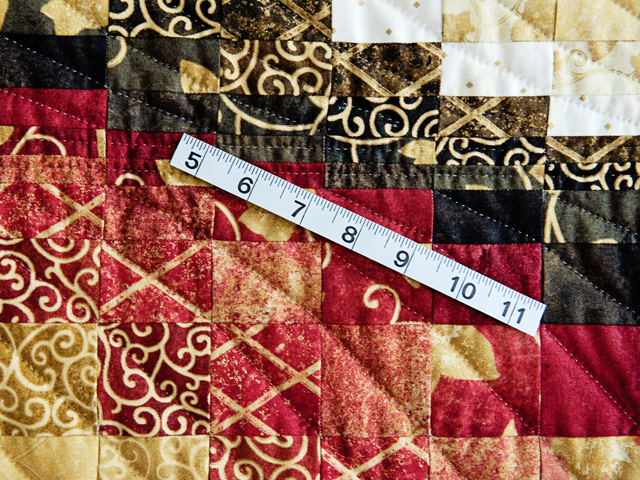 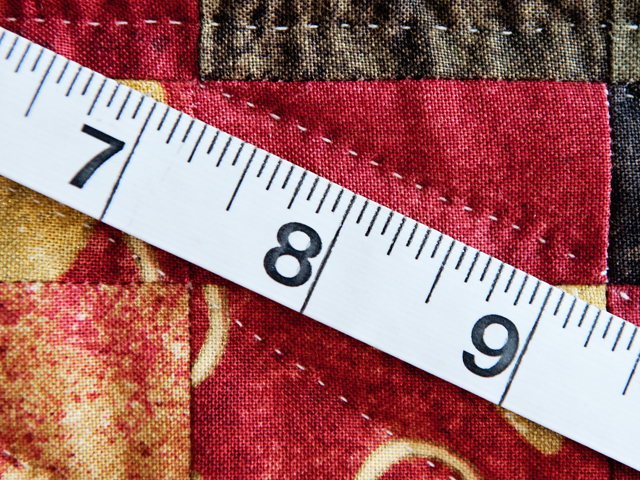 Be sure to notice the very tiny and even hand quilting stitches. 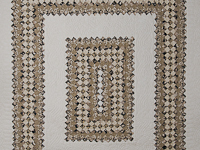 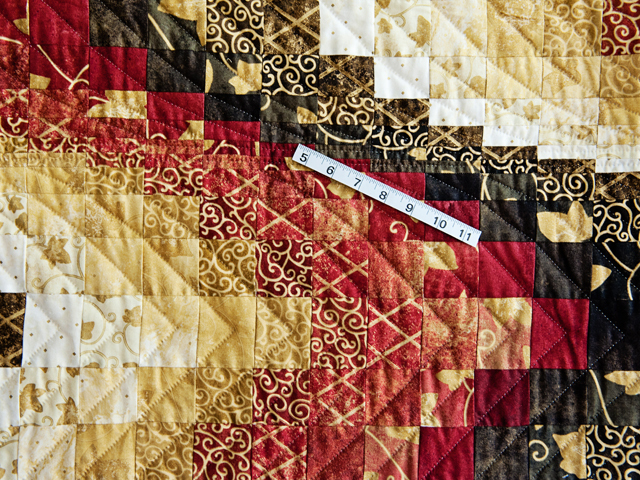 Fantastic hand quilting!